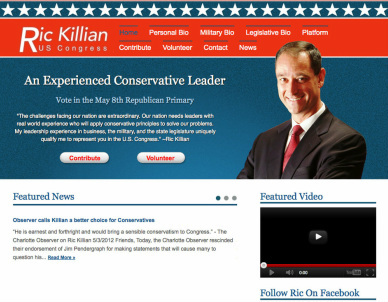 Online Marketing and Consulting assisted Ric Killian’s United States Congressional campaign from March- May 9th, 2012 as he sought to win North Carolina’s Republican seat for the 9th district which is located in the greater Charlotte, NC area. Created and maintained Twitter account. Created, maintained and updated Youtube account. Captured, edited, and uploaded photos to social media accounts. Assisted in fund raising efforts by calling, emailing, and lobbying with financial supporters raising a sum of $80,232.64 in a two month time period. Drafted and sent 22 emails to various contact lists. Created maps and walking lists using Microsoft Excel and Google Fusion. Posted 17 “news” updates to the website. 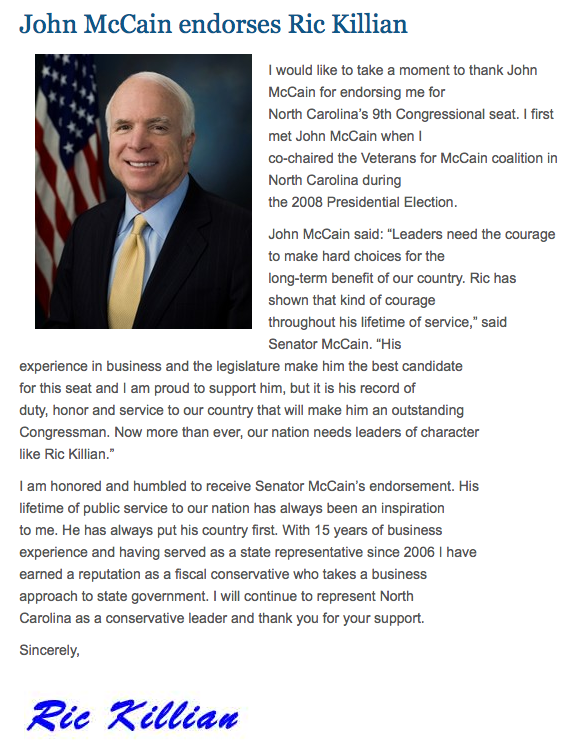 Helped achieve 14% of the Republican vote in North Mecklenberg County.